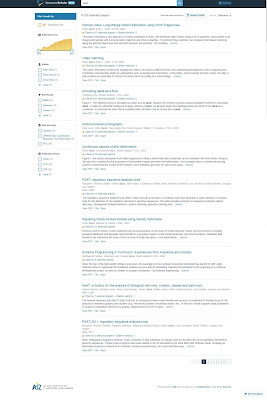 In November 2015 Semantic Scholar was launched at the Allen Institute for Artificial Intelligence (AI2), which indexes Open Access publications in the field of computer science. Semantic Scholar focuses on the semantic analysis of full text content. 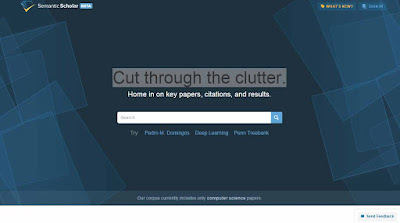 It uses Natural Language Processing, Data Mining and Machine Learning techniques to "understand" the content of full texts. Keywords and phrases captured from the full texts are used to display publications with the same keywords, similar to the "More from this" idea. Furthermore, it is determined which references given in the sources use the same keywords and citations and therefore may have had a high influence on a publication. In addition, the images and graphics are extracted from the full texts and displayed on the result page.